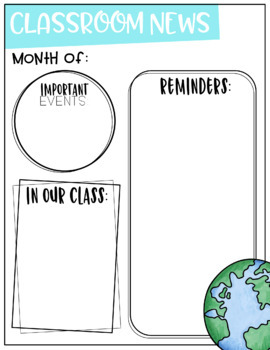 Google Drive Classroom Newsletters-all editable! 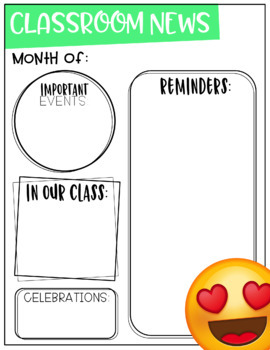 Type up your weekly or monthly classroom newsletters from school OR home and have them all in one place! Even better? Share them out to your parents, principal, or admin or even send it as a google drive link that they can view! You can also save your newsletter as a PDF right from Google Drive! Print it out or add as attachment to email or class website! The possibilities are endless and I've got you covered on any theme imaginable! 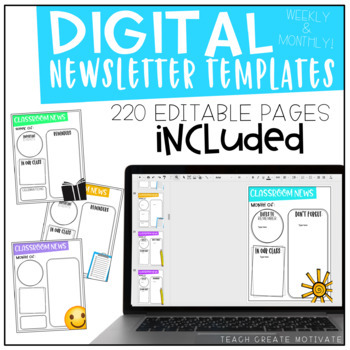 Every themed newsletter comes in a weekly or monthly view with 5 templates to choose from. 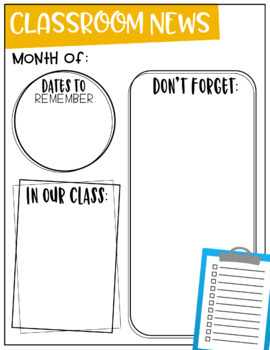 3 are ready to use and 2 are blank to add your own headings! There are 220 editable pages!